I have to say, I never really know which cars Jessica is going to like and which ones she isn’t. 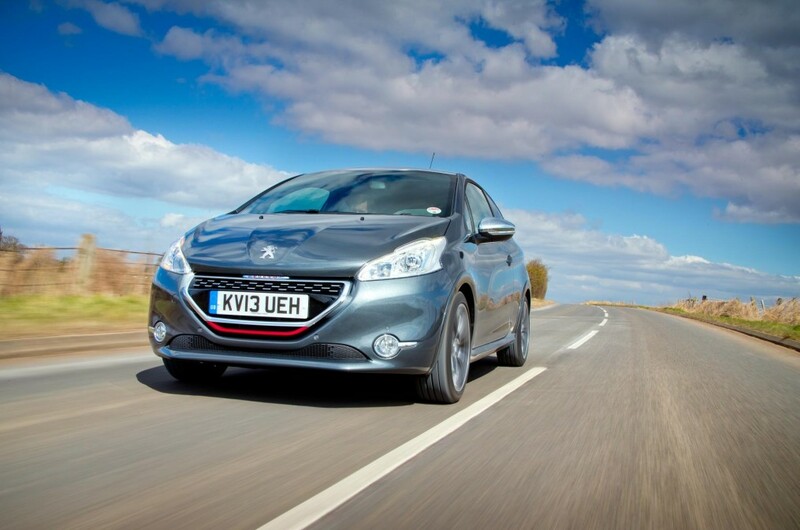 I didn’t hold out much hope for the 208 but it appears to be a surprise hit, in a ‘difficult second album’ type way. I’m still not sure myself. While the GTi is an absolute joy to drive, with a sweet six-speed gearbox and taut handling, the styling of the car is not completely in proportion. It looks top heavy and a little ‘heavy’ to be endearing. I suppose my taste is coloured by the looks and feel of the original Peugeot 205 GTI. Small, compact and in perfect proportion, it made the Golf GTI look like an ugly duckling at the time. Our test car is in my perfect colour – grey. So the fact it doesn’t make me swoon with envy when I see it every morning might speak volumes. 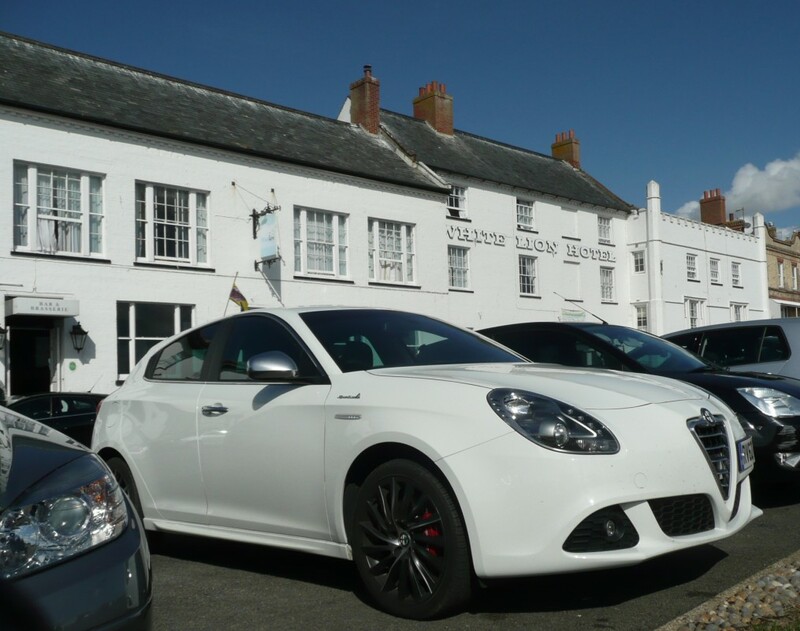 Alfa Romeo might not thank me for saying so but secondhand Giulietta‘s look like great value to me. I would have opted for diesel every time if I was buying – until I tried out this white 1.4 TB petrol. I’ve driven the Volkswagen Golf with a 1.4 TSI and despite being quick, it just doesn’t pack the excitement you want from a relatively small, high performance engine. The difference is that DNA switch by the gearstick. In ‘Normal’ mode the Alfa is Golf-like. 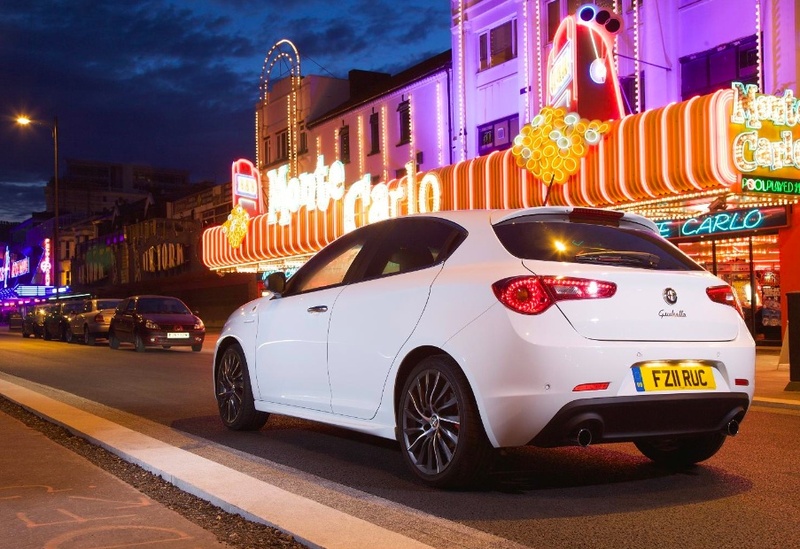 Push the lever forward to ‘Dynamic’ and the Giulietta surges forward with an instant, unmistakable rush. I honestly thought it was a gimmick when the car arrived. Then I realised it’s what sets the Alfa apart. Perhaps the only question is, why isn’t DNA active all the time? The fuel gauge is almost on red now. We’ve been averaging 39mpg most of the week. Final thoughts on this great car tomorrow. There are still a surprising number of people who don’t know how to get in the back of a Giulietta. Sometimes you can see it coming… These are the people who opt to sit in the back, then open the front door and get cross because the driver’s seat doesn’t roll forward enough! There was a wedding at the White Lion in Aldeburgh last night and this morning, one of the guests tracked me down. Not because I had flirted with the bride but because he was on the verge of buying a VW Golf GTI and wanted to check out the competition. Naturally, I obliged. While I complimented him on his choice of car, I was also keen to see what he thought of the Alfa, in a non prejudicial way. I think it was fair to say he was blown away. Once he had checked out the back seats, I took him for a drive for a few miles up the Suffolk coastline. He played with all the buttons, loved the optional Bose sound system, cooed at the outrageously alternative dash and then gave me his verdict. Jeremy There’s something endearing, likeable and rather ‘safe’ about the V40. Stepping into the cabin this morning was like getting reacquainted with an old friend. The last Volvo I owned was an 340, back in the 1980s. It was my father’s choice – he was paying – as the one car even I couldn’t get hurt in. I traded the 340 in for an Alfa Romeo as quickly as possible and quickly regretted it. My student grant didn’t extend to major rust treatment on a monthly basis… Had that first flirtation with Volvo been a secondhand V40, I would probably still be driving it now. 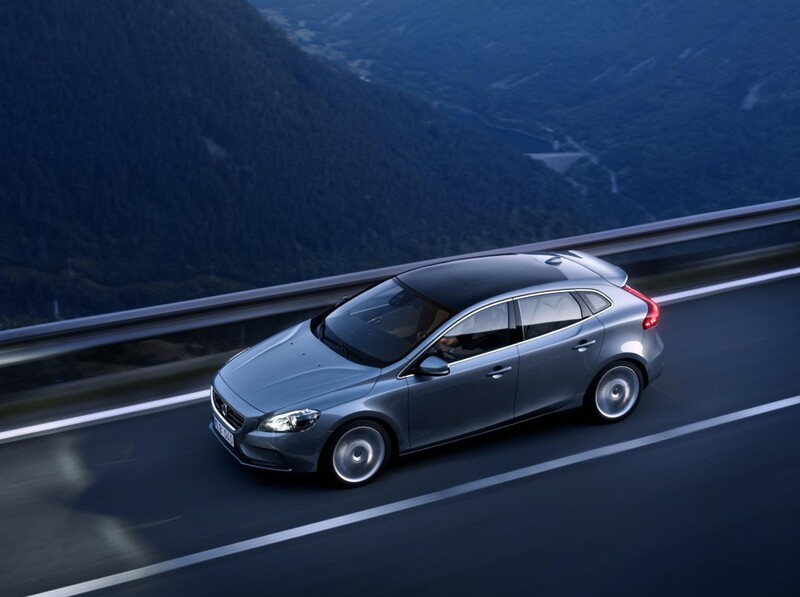 V40 is the replacement model for the S40 and V50 and it needs to be good to beat the best of German. Well, it certainly has a more distinct look than a VW Golf, or the exceptional Audi A3. It probably holds it own about the BMW 1 Series too, although I have to say, I think the new Mercedes A-class might be the winner for best design. From the rear, the V40 in R-Design trim looks amazing. 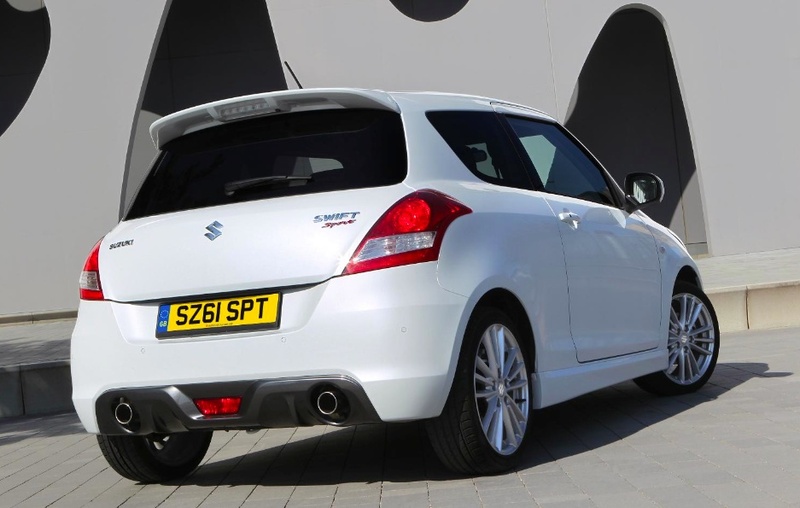 The twin tailpipes and small rear screen tick lots of boxes. Nose on, it’s on a par with the German competition. Which begs the question, is the V40 good enough to tempt Audi/BMW/VW drivers away from their normal car purchase? 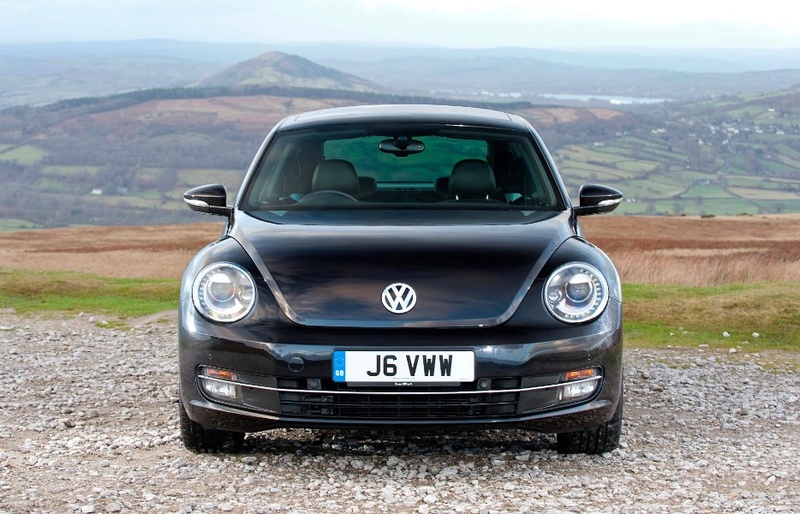 Jeremy – It’s our last day with the Beetle, VW‘s answer to the retro Mini. But while the Mini has morphed into a variety of oddities, the Bug now looks better than ever. The masculine, squat shape make the VW more purposeful than ever and there’s an exceptional interior that’s not only a pleasure to sit in but fairly practical too. Sitting on the latest Golf platform, the Beetle is a better drive than the previous model, even though I would opt for the more refined 2.0-litre engine rather than the 1.4 we tried, which has to be worked exceptionally hard to prove enjoyable. There’s just enough performance to make the high revving 1.4 fun. The steering is more precise and there is a surprising amount of grip on twisty roads. That said, somehow it doesn’t have the precision of the Golf through the bends. If you want a roomy, practical hatchback for the family buy a Golf. For those who want something that turns a few heads and stands out from the crowd, the Beetle remains almost as cool as it was 40 years ago.